Between the mid-1970s and 2004, the Peruvian Ministry of Energy and Mines has been supporting alluvial gold mining through various programs. After this period, the government has taken a number of rather disconnected steps to address artisanal mining. Its attempts to formalize the sector have, to this day, not been successful. Mining is governed by the General Mining Law issued in 1992. The Law considers small-scale mining, but had no definition or category for artisanal miners until 2002. The law stipulates the steps to be taken to become a formal artisanal miner: obtain a tax number (RUC), obtain a mining concession or a mining contract with the concession owner and an artisanal miner certificate. It also establishes obligations for artisanal miners regarding the environment. Many miners have not (yet) been formalized, because of the very complicated procedures, obligations, overwhelming paper bureaucracy, dependencies from governmental offices, employees and often arbitrary decisions and time schedules. 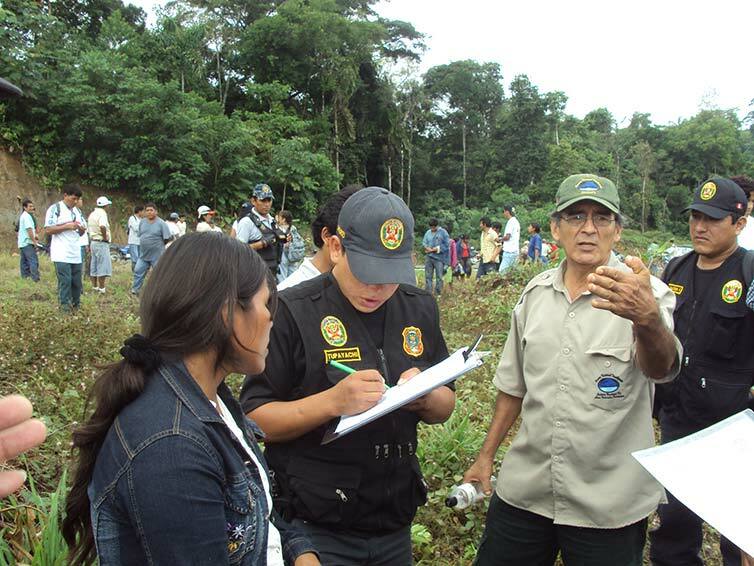 In Madre de Dios, in April 2012, only 5 percent of a total 3,000 requests for formalization had been attended. In March 2011, the Ministry of Energy and Mines approved the National Plan for the Formalization of Artisanal Mining (PNFMA). It aims to formalize all artisanal mining in the country by 2016, and to promote sustainable artisanal mining. In reality, informal artisanal mining in Peru is far more complex than the description in the PNFMA. It is a major seasonal population shift of miners, but also an activity of farmers and native communities on their own land. Turning this activity into formal mining will be a complex process. Ministry of Energy and Mines – Guide to the formalization of small-scale mining. Opinion article about the National Plan for the Formalization of Artisanal Mining. Analysis of the formalization of small-scale and artisanal mining in Peru. Pachas, V.H. (2015). 27 argumentos y 1 hipótesis sobre la comercialización de oro en los procesos de formalización minera en Madre de Dios. Damonte, G. et al. Small-Scale Gold Mining and Social and Environmental Conflict in the Peruvian Amazon (2013). In: Cremers, L., Kolen, J. & Theije, M. de (eds). Small-scale gold mining in the Amazon. The cases of Bolivia, Brazil, Colombia, Peru and Suriname, pp. 68-84.